The foundation of leadership is trust and perhaps therefore this law is extremely important. A leader cannot continuously influence people by breaking their trust. The character of a person communicates a lot of things about the person to others and therefore it is highly important to keep poise with the things one does as a leader. People notice the mistakes that the leader makes very easily and quickly. This is all right as long as the leader fesses up. Character Communicates Consistency – Leaders who do not have inner strength cannot be counted consistent day after day because their ability to perform changes constantly. Character Communicates Potential – Weak character is limiting. Someone who is honest, disciplined, and hardworking has the greater potential to achieve great dreams. Character Communicates Respect – When there is no character within, one can’t earn respect. Leaders earn respect by making sound decisions, by admitting their mistakes, and by putting what’s best for their followers and the organization ahead of their personal agendas. Leaders are stronger and undoubtedly, people follow leaders who are stronger than them. Natural Leadership Ability – If a leader possess natural ability to lead, people will want to follow him/her. They will become excited when the leader communicates vision. Respect For Others – When leaders show respect for the ones who look upto them, especially for people who have a lower position than their’s – they gain respect. 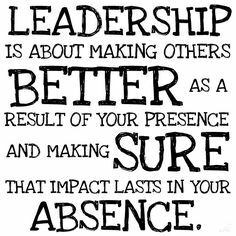 If the leader continually respects others and consistently lead them well, he/she will continue to have followers. Courage – Good leaders do what is the right thing to do, even at the risk of failure, despite relentless criticism and so on. A leader’s courage gives his followers a kind of hope. Success – When leaders succeed in leading the team to success, the followers tend to believe that they can do it again. As a result, followers follow them because they want to be part of this kind of success again and again. Loyalty – When the leader consistently stands by the team until the task is completed and look out for their follower’s best interests, followers will in turn tend to respect them. Value Added to Others – Followers value leaders who provide and aid in adding value to them and as a result, their respect for them continues long after the relationship has ended. Leaders are avid readers of their situation – leaders consider details that might elude others. They know the situation before they have all the facts. Leaders are avid readers of changing trends – leaders discern where the organization is headed, often times they sense it first and find data later to explain it. Their intuition tells them that something is happening, that conditions are changing. Leaders must always be a few steps ahead of their people, or they’re not really leading and figures. Leaders are avid readers of their resources – leaders think about the resources and how to grow them for the benefit of the firm. Good leaders are continually aware of what they have at their disposal. Leaders are avid readers of people – Intuition helps leaders realise, understand and sense what is happening between people and know their hopes, fears and concerns. Reading people is perhaps one of the most important intuitive skills of a leader. Leaders are avid readers of themselves – leaders must know not only their own strengths and weaknesses, but also their present state of mind. This is because leaders can hinder progress just as easily as they can help create it. This is a presumably simple law that states that whoever we attract is who we become ourselves. This law suggests that we must become the person who we would want to associate ourselves with and must make sure that people will want to associate with us. Connecting with yourself – If a leader does not believe in who he is and where he wants to lead, he has to work on that before doing anything else. Communicating with openness and sincerity – People can smell a phony a mile away. Authentic leaders connect! Knowing the audience – When working with individuals, knowing the target audience means learning people’s names, finding out their histories, asking about their dreams and so on. When there is communication with an audience, one learns about the organization and its goals. Living your message – Credibility comes from practicing what one preaches. Going where they are – Remove as many barriers to communication as we can. Adapt to others; don’t expect them to adapt to us. Focusing on “Them”, Not “Yourself” – Focus on others, not yourself. That is the number one problem of inexperienced speakers and ineffective leaders. Believing in “Them” – It is important to communicate with people because you believe you have something of value to say. It is also important to communicate with people because you believe they have value. People’s opinions of us have less to do with what they see in us than with what we can help them see in themselves. Giving Hope – French general Napoleon Bonaparte once said, “Leaders are dealers in hope.” When you give people hope, you give them a tomorrow. Those closest to the leader determines the potential of the leader. Do these leaders have high influence on others? – One key to successful leadership is the capacity to influence and mould people who influence others. 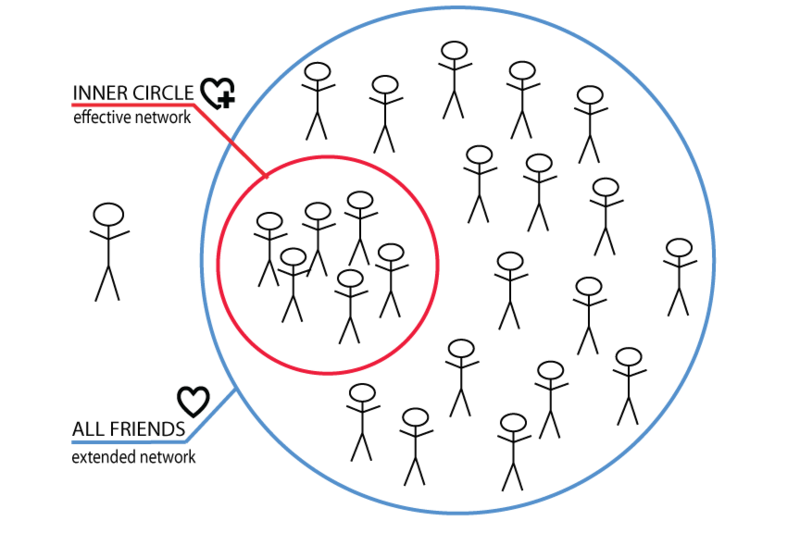 This is done by drawing influencers into the inner circle. Do they bring a complimentary token to the table? – Bringing a few key people into the inner circle who possess strengths in the areas of weakness can be highly useful. Do they hold a strategic position in the firm? – Some people belong in the inner circle because of their importance to the firm. If leaders are not working on the same page as the ones they are working for and working with, the entire organization is in trouble. Do they add value to the organisation? – The people in the inner circle must add value to the leader personally. They should also have a proven track record as assets to the organization. Seek for an inner circle people who help improve in all ways. Do they impact positively on the other inner circle members? – Team chemistry is vital. The inner circle is to have a good fit with one another. It also has to have wanting inner circle members to make one another better, to raise one another’s game.